Connoisseurs of handmade tapestries love to discover and browse exceptional antique tapestry collections like we have at Esmaili’s. 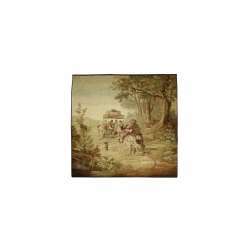 Antique French tapestries are especially desired but are difficult to find in today’s hot tapestry market. Considered a type of textile art, tapestries are traditionally woven on vertical looms using a weft-faced weaving technique in which weavers conceal all warp threads in their finished work. Tapestry weaving also involves discontinuous weft yarns, interlacing singular, colored wefts back and forth in their small areas. Historians state that the popularity of decorative tapestries may be partially attributed to their ability to be rolled up and transported easily. 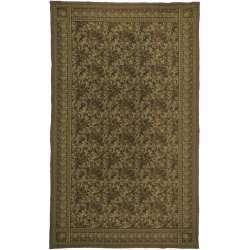 Esmaili’s online antique tapestries for sale were displayed in cathedrals on special occasions, draped over gray castle walls to add much-needed life and color or used during winter as insulation against cold winds. Between the 14th and 17th centuries, tapestries contained country mottoes, symbolic images and emblems as well as a baldachin, or coat of arms. Some tapestries specifically woven for royalty decorated the backs of throne seats or were hung behind thrones to emphasize the authority of certain royal figures. Starting in the 1300s, a French town called Arras represented the apex of tapestry making for over a century because of its large textile output. 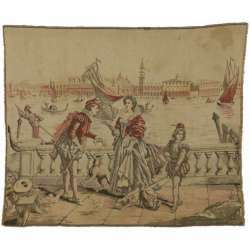 Specializing in producing tapestries made from the finest wool, Arras weavers sold their artworks to castle and palace owners all over France, England and other European countries. Unfortunately, many of these tapestries did not survive the French Revolution because they were burned to recover the gold threads woven into them. We invite you to indulge your inner interior designer by browsing our one-of-a-kind selection of gorgeous antique tapestries. 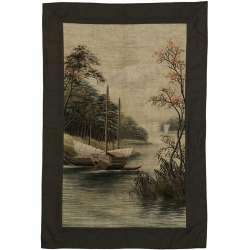 Add old-world grace, charm and elegance to your home, office building, organization center or other environment with impeccably woven tapestries featuring an array of natural elements, decorative designs and human figures. 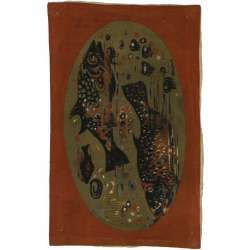 Whether you want to add warmth, depth and intimacy to a setting or wish to reflect a rich, cultural ambience personalized to address your décor needs, our online antique tapestries for sale are guaranteed to amaze, delight and inspire your creative side. For expert answers to your questions about our antique tapestries, please call Esmaili Rugs and Antiques today at 214-651-7847 or get in touch with us online.